Simple and easy ways to grow confidence as a writer? Building confidence as a writer sometimes appears to be a tedious task for many writers. This does not only happen with beginners but the experienced contractors also suffer from such difficulty. But once you learn to build writing confidence, you become an efficient writer. Today we’re going to share some valuable tips with you that will help you become a confident writer and win appreciation from a great number of readers. 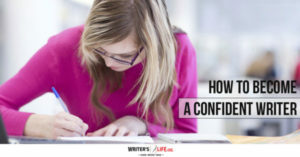 You can grow your writing confidence unanimously if you keep practicing your skills. It is inevitable. You do not only gain advanced knowledge but you also get the chance the learn the writing style of other writers. The more you practice your skills the more you build confidence. You get the chance to learn from your own mistakes. And the feedback from your readers also builds confidence in you. Joining some competitions is also a good idea. Participating in the competitions helps you gain new valuable experience and demonstrate your abilities. Those who do not step into competition due to the fear of failure can never become confident writers. Because every failure helps you learn some new things. If someone is paying for writing, you must grab that outstanding opportunity immediately because it will help you become a confident writer. You can look for professional writer opportunities in the newspaper or other resources. So, if you don’t have confidence in your writing then finding a job to build some confidence will be an ideal option for you. 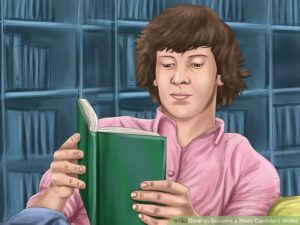 Reading different books and genres is a great way to become a better writer. However, some people get so much engaged in writing that they can’t even manage to spare some time to read more and learn from others. Therefore, we suggest you read blogs and books by talented writers because it will help you gain new experience. You will be able to learn the new ways to write.